We believe that the pursuit of owning a local business is the pursuit of happiness. We believe that locally owned businesses run by people who care about our community are the foundation of a healthy local economy, not by creating commerce over people but by creating commerce with people. We believe that local business is more than the exchange of money for goods and services. It is the action of needs being fulfilled, of human to human interaction. The “hello, how are you doing?” from a clerk, the smile from a waiter or a warm greeting from your favorite barista give us connectivity and a sense of place. Yes, I do need a cup of coffee. But I also need your smile, the chatter of other customers, the scent of warm pastries. We believe that connectivity means more than 100 people in a room exchanging business cards. That’s an exchange of information. True connectivity comes from shared experiences, shared struggles, shared hopes and dreams. Local business owners share a connectivity because of who they are—they all had the ambition and courage to pursue a talent, a passion, a dream. We believe in sharing while competing. Competition makes us all better at what we do. It compels us to push harder and strive longer. But competition should not be at the destruction of others. We all benefit from a healthy local business ecosystem and helping others is part of that. Come join us in these beliefs. Come join your peers. Become an AIBA member. Did you know that AIBA has won an International Award for our IBIZ District program? AIBA is a strong advocate for local business at City Hall and beyond. Read more about our advocacy work. The votes are in and party preparations are almost complete. Join us for a spectacular party celebrating your favorite local business on April 25. Party starts at 5:30. Show starts at 7. TexHealth – Your Answer to Recruiting & Retaining Great Employees! Austin’s reputation for loving local didn’t happen by magic. It was developed over more than a decade by amazing local businesses in partnership with AIBA. 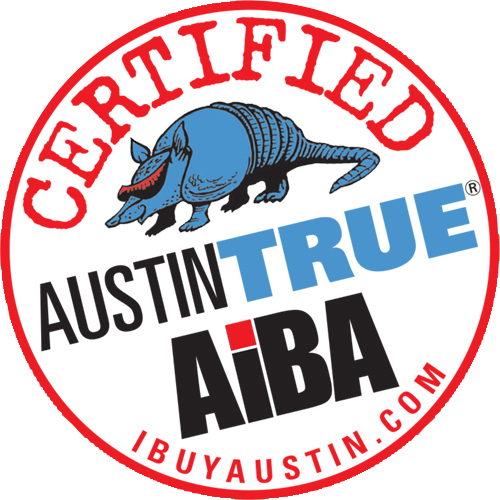 AIBA’s strong advocacy and presence for local has been instrumental in making Austin one of the most local-friendly cities in the country and that’s why I’m so proud that Wheatsville Food Co-op is a founding member of AIBA.